Nomination list for South-South Achievers Awards (SSA-awards) 2019 Has been released. We had about 5,475 entries on review this season. Following the whole process of nomination for SSA-awards 2019 which ended about 11:59 pm on the 11th of January 2019. 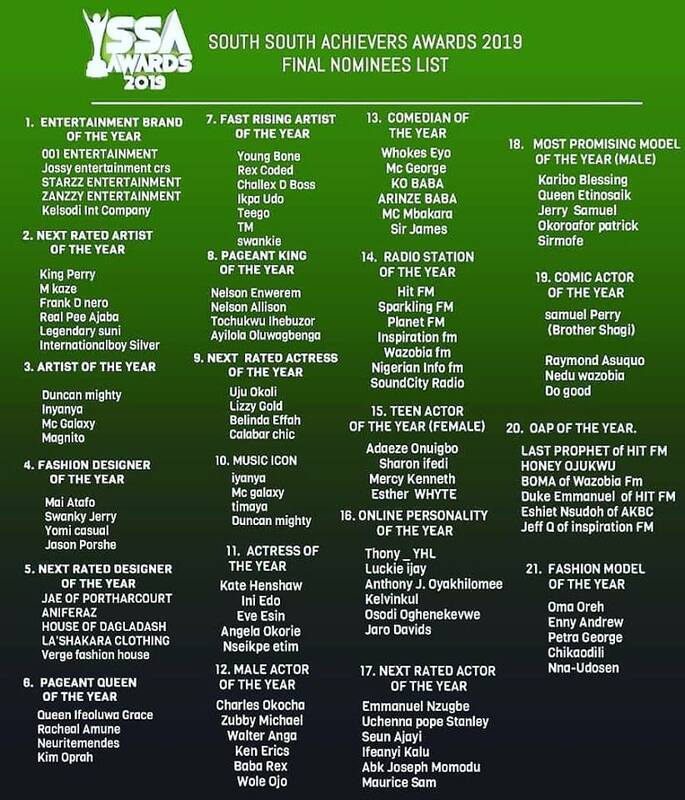 We are super excited to announce that the final Nomination list for SSA-awards will be officially published on all our social media platforms and on our website: www.ssaawards.com you can also follow on Instagram @ssa-awards on twitter @ssaawards. It promotes Achievement and talent by recognizing individuals and business professionals who have inspired and made extraordinary contributions to the nation. It’s showcases talent and achievements. The SSA-AWARDS mission is to recognize achievements in various categories for people of all walks of life. Winners of this award will be determined by leaders, students, and everyday citizens actively voting. THE ANNUAL SSA-AWARDS 2019 PROMISES TO BE THE BIGGEST AWARD SHOW IN THE HISTORY OF SOUTH-SOUTH NIGERIA. 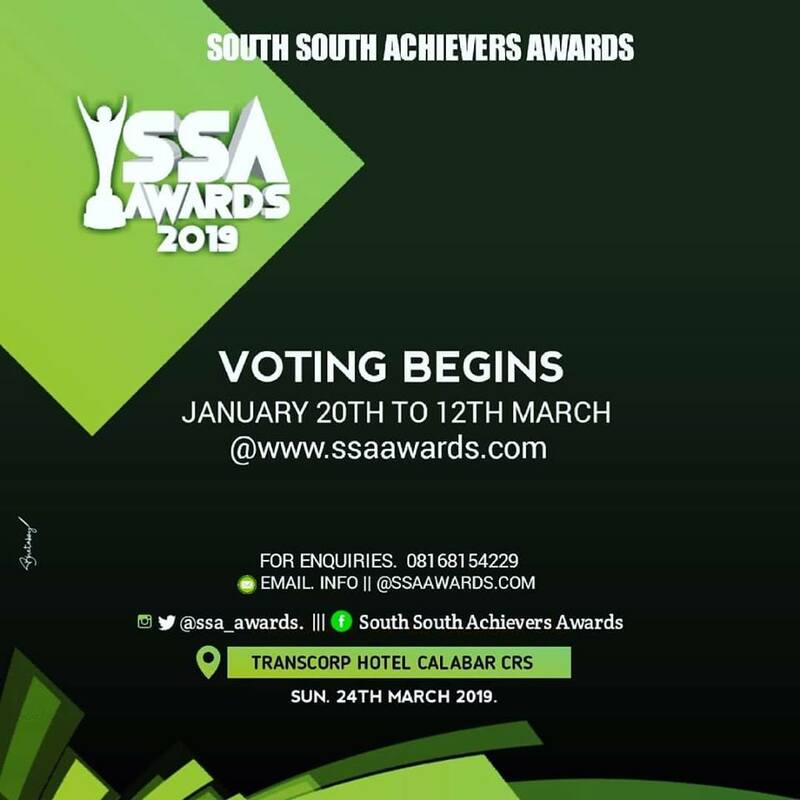 Voting for Ssa-awards 2019 commences on January 18th and will run through February 28, 2019. Previous ArticleDo you really think that I want to spend 10MB downloading your song?